Congrats BelleJoie- she runs the blog J'adoreLacquer. 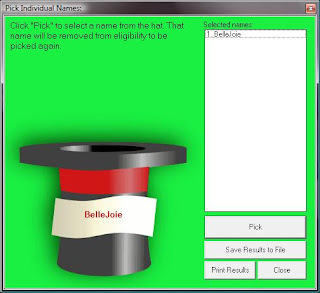 BelleJoie and Cris- please respond to my email within 72 hours. I recently spotted a few new or new to me displays and tought that I'd share them with you. 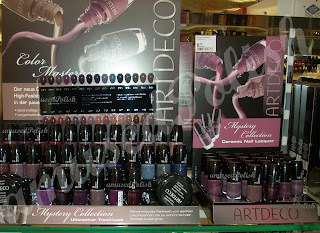 Last, but not least, two Artdeco displays- a huge one called Color Masterpiece and one containing another (Chanel) dupe (called Mystery Collection). 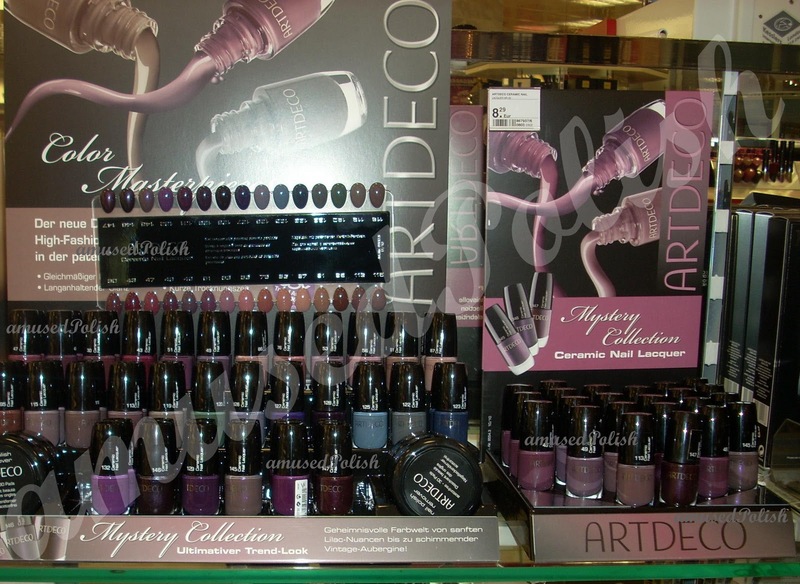 I really liked #123 and #127 but having a lot of blues and purples I might have dupes or similar shades (plus I didn't want to spend that much if I have something similar in my stash already). 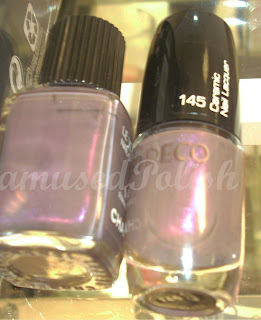 I took the Chanel Paradoxal testerbottle and compared it to Artdeco #145. I couldn't tell a difference between the two. Anywho, Paparazzi is a blurple polish. It was opaque in two coats and I didn't had issues with either the formula or the brush. I don't get a lot of sun-pictures anymore because the weather here wasn't that great and/or is really orange-y during dusk&dawn (which is/was the only time I got decent sunlight in my appartment during summer). PS: You've got until Sunday to enter my giveaway, enter, if you haven't entered yet. 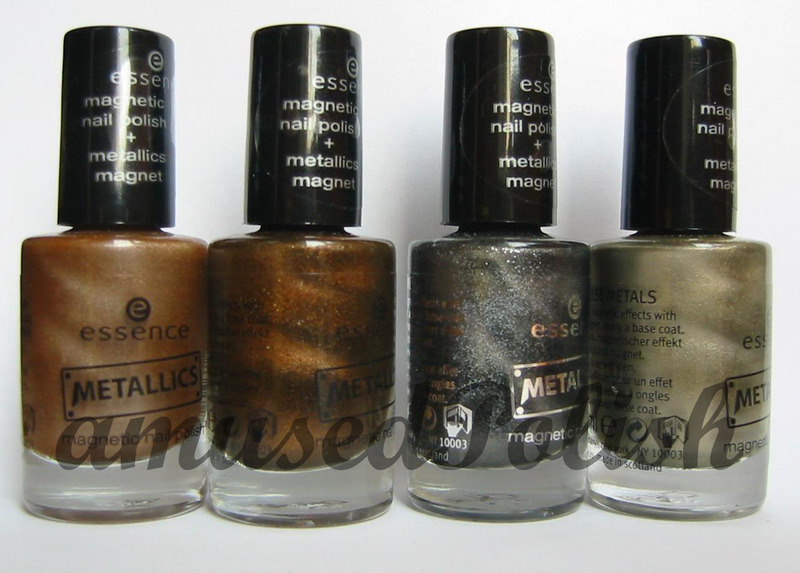 Essence recently came out with magnetic polishes and there are currently 4 in their Metallics LE. The LE was released this month and some places were sold out soon (or at least the stores I visited). I am not sure if it will be released in the US, but let's hope for the best. 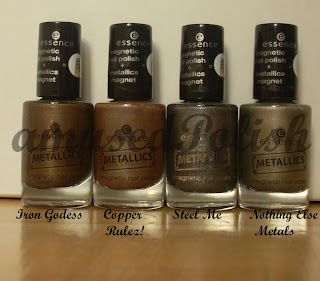 I feature the polishes in my giveaway where the winner of the 2nd price gets to pick one of them. As you can see the second pattern doesn't see very flattering, to me it looks more like ugly ridges on your nail. 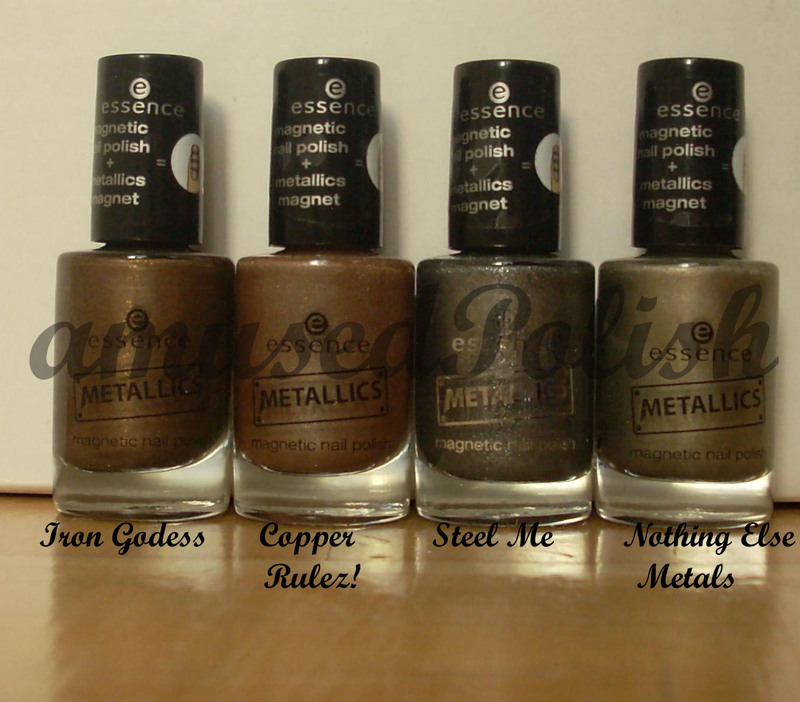 And I swatched them in the same order like the bottles above. 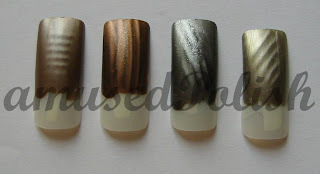 Then I played around with some kitchen magnets (I used Steel me on all 3 nail tips). You can see that the round magnets are more different than the flat magnet on the left. Shake the bottle before painting each nail if you really want to be sure that you'll get a pattern on your nails. 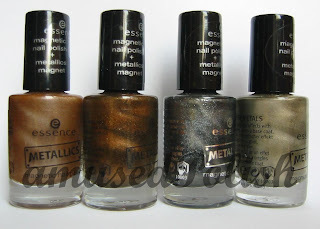 I know it may cause bubbling but most of these polishes have quite a thick formula and are opaque in one coat. 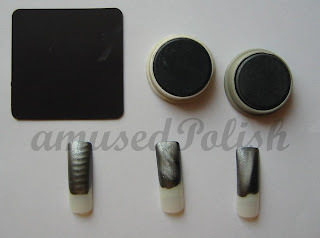 Place the magnet really close to you nail but not too close so you'll smudge your manicure. 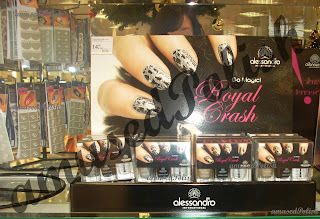 Paint each nail at the time because once the polish is dry, the magnetic effect doesn't appear. Do thicker coats if the pattern doesn't appear. If you have a stronger magnet, and don't know what kind of pattern it "does", hold it onto the bottle and you'll see it. 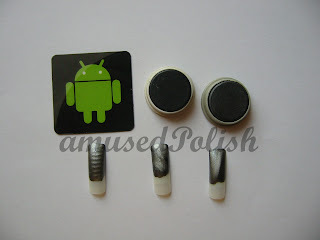 For funsies, play around with different magnets, you may even have one that does a star pattern. EDIT 29.11: This giveaway is closed, thanks everyone who entered :) I'll announce the winners soon. So today is my Birthday and what other way to celebrate it, than a giveaway? be a visible follower and fill out the form at the end of the post. You don't have to write the entering details in the comments (i.e. I follow via...&my email adress is...). The winners have 72 hours to respond to claim their prize. Feel free to use the three pictures in this post. If you have any questions, leave a comment or you can email me. ( Edit: This giveaway is open internationally and please only enter ONCE.